Premiership Match 13, Murrayfield, Nov 5th 2017. McDonald, O'Donnell, Broadfoot, Greer, Findlay. McKenzie, (Hawkshaw 91), Power, Taylor , Jones. K Boyd, (Erwin 66), Burke, (Frizzell 73). Subs Not Used: Bell, Thomas, S Boyd, Brophy. Killie had only won one of their last 13 league games prior to Sunday’s trip to the home of Scottish rugby. 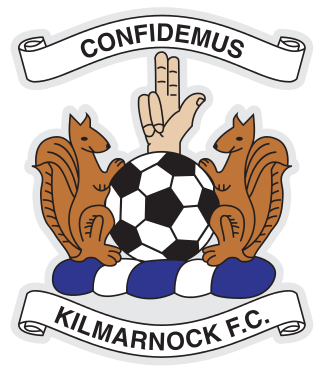 Killie had taken 7 points from their previous four away games against Aberdeen, Partick Thistle and two other teams from Glasgow and were unbeaten in those games! Make of those what you will but I was optimistic that a sunny autumn trip to the capital city would bring three points just like 31st October 2010 when a rampant Killie side “kick started” a wonderful few months under Mixu with an emphatic 3-0 thrashing of the Jam Tarts. 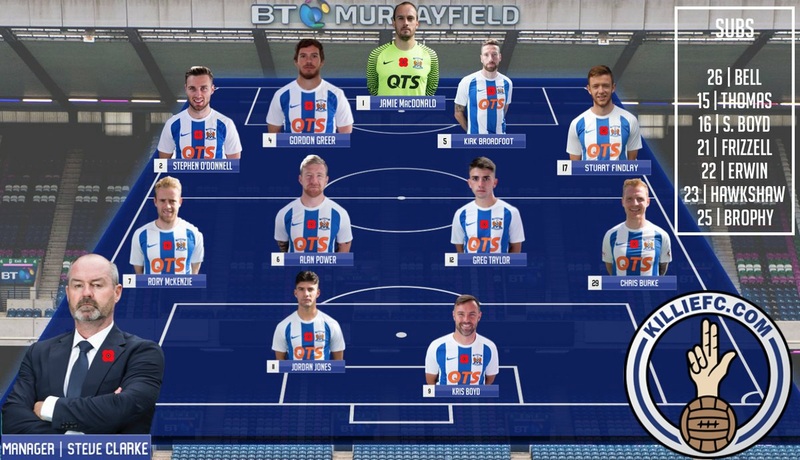 The Killie side was unchanged from the team unjustly beaten by the team from the Leith side of Edinburgh a few days earlier whilst Hearts brought back the experienced Cowie to midfield and gave a debut to young left back Baur. A minute’s silence for Remembrance purposes was impeccably observed by both sets of fans and the “home side” started on the ascendancy. 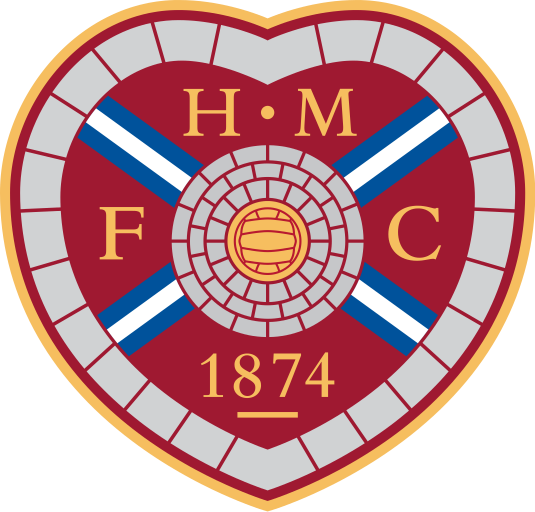 As Hearts fans then paid a fitting tribute to their cup final hero Stefano Salvatori in the 5th minute they nearly had even more to applaud but ex-Jambo Jamie Mac turned a blistering shot from Goncalves onto the post and the ball was then headed for a corner by Greer whose hesitancy had given the Portuguese striker the first of a number of attempts. 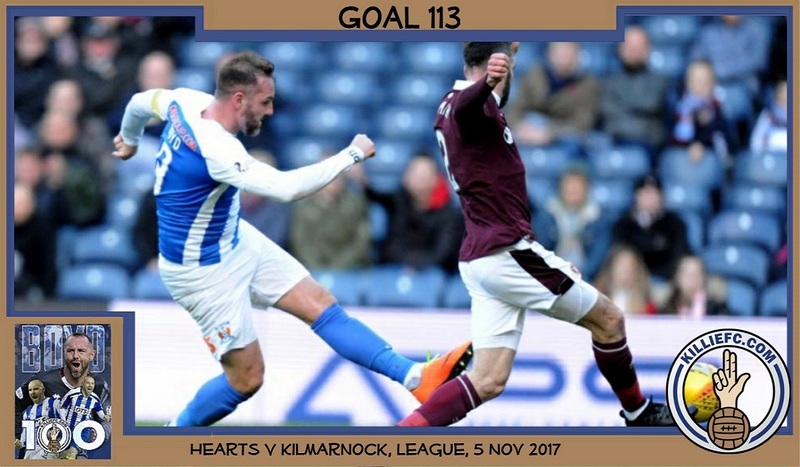 The first 10-15 minutes were almost all Hearts but Killie gradually clawed their way into the game – assisted in no small part by the wonderful away support who numbered over 1200. Special mention to the drummer and the singing group who kept going – just like the players - for over 90 minutes. A couple of the songs were belters : telling fans to sit down if they loved Killie and then indicating that an (in)famous follower of the One Team in Ayrshire actually had an affinity for a certain side from Govan!!! Killie’s first chances came when Jordan Jones got to the by-line, cut the ball back but nobody was there to apply a finish and then Rory McKenzie almost opened the scoring with a deflected shot which was turned over for a corner by Hearts keeper McLaughlin after fine link up play between Jones and O’Donnell. The impressive Power was bossing the midfield as Killie took control but couldn’t create a clear opening until Kirk Broadfoot strolled forward in the 31st minute. 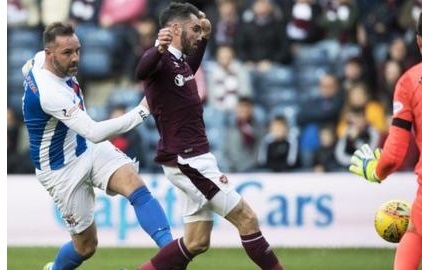 As Hearts players backed off, the centre back chipped an exquisite right pass into the channel for prolific veteran striker and Killie skipper Kris Boyd to run onto and control on his chest – boom....boom....one touch to pull the ball down with his right foot...other touch with his left to find the net and Killie were ahead! As half time approached it was the away side who looked like adding to their lead with referee Clancy bringing the half to an end as boos echoed around from the very very quiet Hearts fans. Former Hearts and Killie Management duo of Messrs Jefferies and Brown appeared during the interval to do some kind of summary of the first 45 and the half time draw – their assessment was hardly audible so Rugby Park and Murrayfield do have something in common : really poor PA systems! Killie started the 2nd half brightly and perhaps both McKenzie and birthday boy Greg Taylor should have done better from a Jones corner which resulted in a weak effort from Taylor spinning harmlessly past McLaughlin’s left hand post. 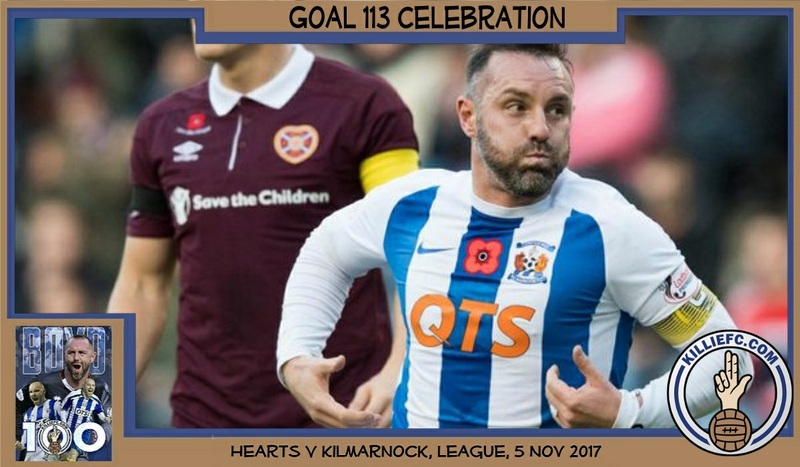 Killie then seemed to drift out the game as the Jambos – particularly former St Mirren man Goncalves -searched for the equaliser. The away fans were also treated to panto villain Kyle Lafferty rightly being booked for diving and it actually seemed Mr Clancy was having a fine match as he also waved a couple of other weak claims for penalties from Hearts. Isma – or is it Goncalves? – almost scored from a corner but MacDonald clutched the ball as it bobbled about in the 6 yard box. Goncalves then evaded two or three Killie defenders and cracked a shot which struck Jamie’s left hand post – that was a warning sign which, sadly, was not heeded! Greer did actually do extremely well to block Lafferty as he tried to score from the rebound. The equaliser eventually came in the 76th minute when Greer headed away a chipped ball into the box but straight to that man Isma who –just like earlier-evaded a couple of challenges and then struck an excellent right foot shot into the top right corner of the goal. As the cliché says “game on” and it now became “end to end stuff”! McLaughlin launched a monster kick in the 85th minute which seemed to be in the Edinburgh sky for ages and as it landed Power made a rare mistake misjudging it allowing (guess who?) Goncalves through one on one on the Jambos cup winning ‘keeper from 2012. Jamie Mac brought off an excellent save and the ball immediately found it’s way to McKenzie in the Killie half of the centre circle. Even though the Killie players had a tough midweek game at the other Rugby Park it was the diminutive and genetically challenged players who were to grab the winner!! Rory set off on a surging run, brushing off challengers before releasing the over-lapping O’Donnell from the edge of the penalty box. O’Donnell looked up as he took the ball on the right edge of the box, sending a super pass to the feet of substitute and small person Frizzell. Watching live I’m sure many away fans had not realised the sublime skill shown by the wee lad in turning and shooting in one movement! 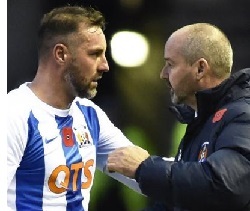 It was a wonderful goal to win the game and another in a series of recent fine Killie goals scored by players of a height condemned by the recently departed Scotland boss. A nervy final few minutes followed as Hearts flung Berra up front and launched everything but the kitchen sink at the Killie rearguard. Fate was much kinder than the Tuesday evening as Clark’s Blue and White Army secured a first win for the new Boss. So that’s our away record now played 6 won 2 drawn 3 and lost 1; but the stats for our form at our own Rugby Park will the next thing to improve under the stewardship of Stevie Clark !! 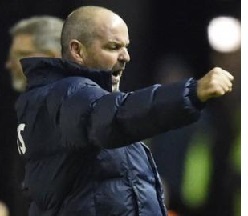 Steve Clarke: "I'm delighted from a selfish point of view to get my first win as manager, It was important for the team on the back of some really good performances since I came into the club that we got that win. We went behind at Ibrox and got a point, we went behind at Celtic Park and got a point and, when we got pegged back here, it would have been easy to fold, especially on the back of a difficult physical game in midweek against Hibs," said Clarke.But the lads showed their character, dug in and got the winner and I think, overall, over the 90 minutes, we deserved to win this game." "Scottish people are very good at running down their own game and I think we should be a little bit more positive about it and try to push the game. I think the levels are okay, Let's talk up the good things about Scottish football. "Basically, that's what the English Premier League do - they sell their game all the time, I've seen some bad Premier League games as well and it's the same in Scotland - you'll get a lot of good games at a weekend, you might get one bad one and everybody highlights the bad one."